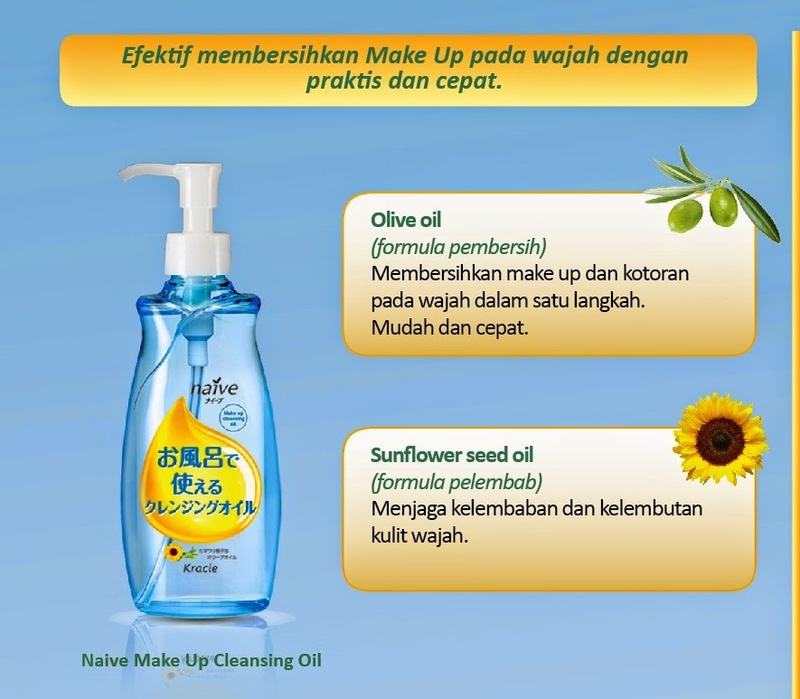 There are two main ingredients of Naive Cleansing Oil, olive oil and sunflower seed oil. 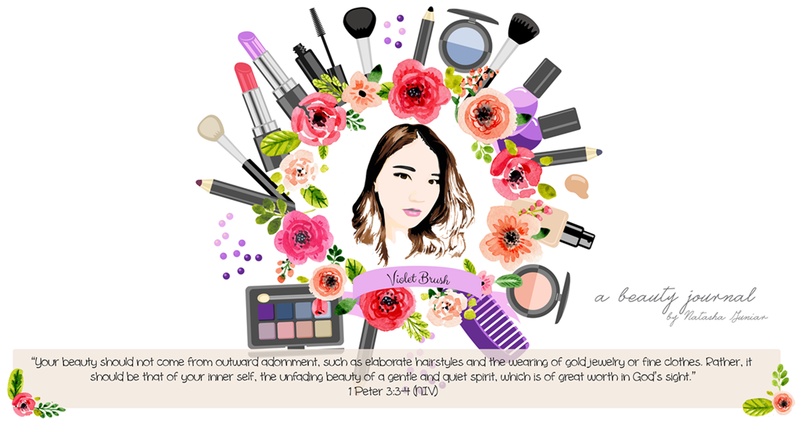 Olive oil (the cleansing formula) cleanse makeup and dirt from your face in one step. While sunflower seed oil (the moisturizing formula) maintains the skin's moisture and softness. Cleanse your face from foundation, makeup, and mascara practically and quickly, yet maintains the skin's moisture. To use: pump four times, spread the cleansing oil to your face and massage gently and clean the mascara and other dirt around the eye, rinse with water. Cleanse makeup, waterproof mascara, sunblock, and even dirt on your face quickly. Light formula to clean makeup softly, resulting in brighter skin. Doesn't dry up your skin. Recommended even for oily skin. Can be applied with wet hands. You won't need to wash your face again. 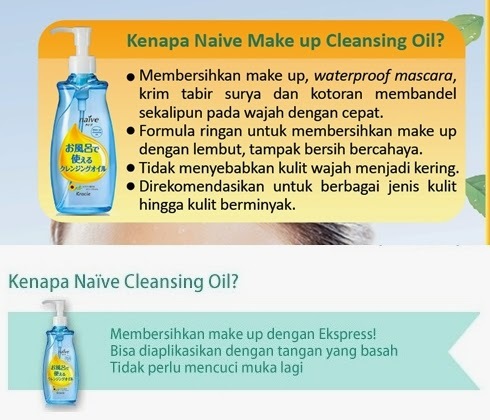 Naive Cleansing Oil comes in a transparent pump bottle which for me, it's kind of a minus point. Why? Because I prefer cleansing oil (or water) that comes in a bottle with a little hole so that I could control the amount of the product I take better. With this type of pump bottle, it's a little bit hard to control the product amount, especially when I use q-tip to clean the remaining of my eye makeup. But well, for me it's not a really big problem though. It has this colorless and fragrance-less formula. It's transparent and I couldn't smell any scent at all which is a good thing to me. Like the type, Naive Cleansing Oil has oily texture and it does feel greasy on my skin. As you can see on the picture, Naive Cleansing Oil cleaned my eyeliner, mascara, lip tint, etc better than my usual cleansing water. It didn't need that much time also, probably about one minute will be enough to clean my makeup. But as the name it is, Naive Cleansing Oil is oil-based, and it did leave that greasy feeling to my skin after cleansing, which is a big minus point for me since I don't really like greasy feeling on my skin even though that's a normal thing that would happen if you use cleansing oil. However, that greasy feeling would be gone after it came into contact with water. So it's definitely not true to say that you don't need to wash your face again after using this cleansing oil. I didn't use much cleansing oil before so I couldn't really compare much but I could say that Naive Cleansing Oil is quite a good product. It's gentle on my eyes (it doesn't sting my eyes) but my eyes would get a little bit blurry after cleansing for a little while. Once, I tried to pump the cleansing oil first onto the cotton pad and wiped the eyeliners, mascara, etc after but as you can see, it didn't work on first swipe. It was cleaned after a minute or so (with intensive rubbing). So I suggest you to gently massage your face with the cleansing oil first then rinse it directly with water or you could wipe the cleansing oil first with cotton pad before rinsing. I don't really like the greasy feeling after so I'm contemplating. i love cleansing oils. they are my fave! i just uploaded an "Empties" YouTube video dedicated to cleansing oils that I used up. Its looks good on your skin !